I try to read the New Yorker every week. Most weeks I manage at least one article; other weeks, two, three or even four. But every once in awhile, I’m too engrossed in a book, and the New Yorker takes the back shelf. 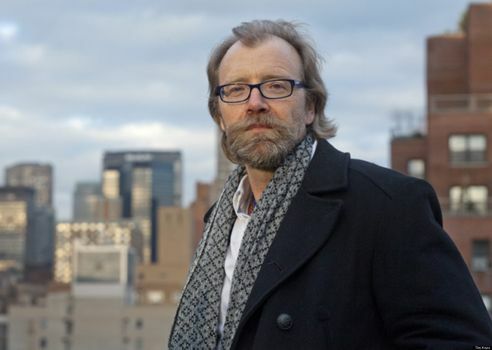 That’s what must have happened the week of Oct. 22 when the story “My Writing Education: A Time Line,” by George Saunders (pictured above) appeared. Saunders is a short story writer, a professor at Syracuse University and a frequent winner of the U.S. National Magazine Award for fiction. Read Saunders’ full story to learn about the impact really good writing teachers can have. It makes me deeply regret that I’ve never enjoyed the tutelage of one. Thanks so much to my friend Maureen Bayless for posting a link on her Facebook feed so I was able to read the Saunders story.